(Bloomberg) -- The fallout from the murder of Saudi critic Jamal Khashoggi is mounting for the kingdom’s young leader abroad, if not so far at home. After some of the investors who courted Crown Prince Mohammed bin Salman stayed away from his glitzy gathering in Riyadh last week, the U.S. is now signaling its position on the man feted by President Donald Trump is shifting. Two top officials in Washington demanded an end to the Saudi-led war in Yemen and the start of talks in November, deploying language they’ve rarely before used publicly. Three people with knowledge of the matter, including a US official, said the Trump administration is also pressuring the kingdom to resolve the crisis with Qatar. 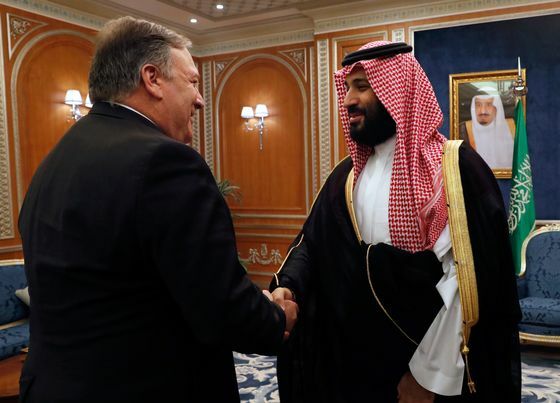 One Arab diplomat said Prince Mohammed is beginning to look “dangerous” for western leaders who are now rethinking doing business with a 33-year-old ruler whose loose-cannon foreign policy has surprised allies and enemies alike. Even his supporters say privately there will now have to be a period of change as Saudi Arabia tries to rebuild the confidence of allies burned by the kind of unpredictability that had been alien to its foreign policy. And, as one senior Arab official put it, the only pressure that counts is American pressure. Mohammed bin Salman was embraced as a reformer after he emerged as the kingdom’s de-facto ruler a couple of years ago. The death of Khashoggi, an insider-turned-columnist critical of the crown prince, has put the brake on that meteoric rise. The prince remains secure at home, not least because many potential rivals have been pushed aside after he stamped his authority in the kingdom. But the picture now is of a diminished figure with a debt to pay on the world stage. In Yemen, the kingdom and its allies have been unsuccessfully trying to force the pro-Iran Shiite rebels they’re fighting to the negotiating table through a bombing campaign that started in 2015. The Saudi-led coalition initially included Qatar, a country that the kingdom and three other nations sought to isolate two years later, accusing its leaders of supporting terrorists. Last week, Prince Mohammed shifted his tone by praising Qatar’s resilient economy. Saudi officials weren’t available for comment. Prince Mohammed has denied any involvement in the killing of Khashoggi, calling it a “heinous crime that cannot be justified” at the investment conference in Riyadh. Turkish prosecutors said on Wednesday the Washington Post columnist was strangled soon after entering the Saudi consulate in Istanbul and his body was dismembered in a premeditated hit. Senior U.S. lawmakers previously supportive of the Saudis accused the prince of masterminding the murder and his government’s shifting narrative regarding what happened. A group of Republican senators is now urging a halt to negotiations on selling U.S. nuclear power equipment to Saudi Arabia in response to the killing. Away from the choreography of blame, the immutable fact is that the murder was on the crown prince’s watch -- and with every blunder comes consequences. Conversations with Saudis, diplomats and people with connections to the royal family show how much capital he has lost since Khashoggi disappeared on Oct. 2 as he sought documents for his marriage to a Turkish woman. There have been murmurings within the House of Saud that Prince Mohammed needs to have his wings clipped, but he maintains control of the key levers of Saudi rule. Abroad, though, there will be a step back from the aggressive foreign policy that saw the kingdom in disputes with countries like Qatar, Canada, Germany, according to a person close to the government, who declined to be identified by name when speaking about sensitive issues. It’s a chance for the prince to revamp his inner circle and bring in people who better understand foreign affairs, the person said. While asserting himself on the world stage, Prince Mohammed has also undertaken the biggest overhaul of the Saudi economy in its modern history. His pet project, called “Vision 2030,” is underpinned by foreign investment as he reduces the kingdom’s dependency on oil. 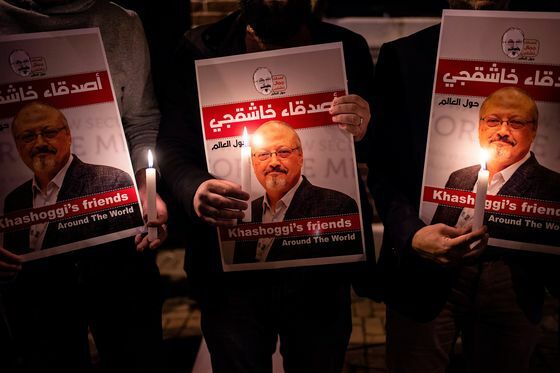 The international outcry over Khashoggi makes that Herculean challenge more difficult, thus potentially weakening him at home, said Torbjorn Soltvedt, principal analyst for the Middle East and North Africa at risk consultancy Verisk Maplecroft. 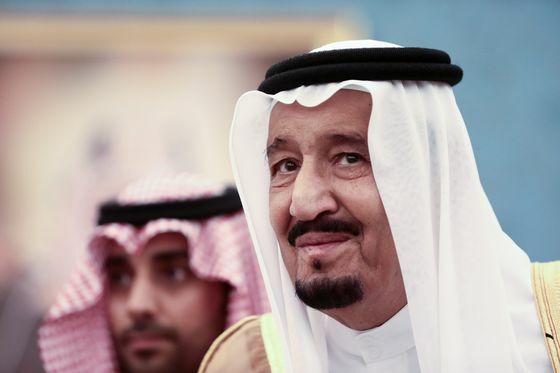 As a result, his father, King Salman, is taking a more active role, according to two people close to the royal family. Little is known about the extent of the king’s role in running the kingdom’s day-to-day affairs. In addition to being defense minister, Prince Mohammed is the chairman of the country’s sovereign wealth fund and heads councils in charge of economic and security policies. He also chairs a government committee for hydrocarbons. But the king acted to remove a top adviser to Prince Mohammed while prosecutors detained 18 people involved in the Khashoggi case. The monarch also called President Recep Tayyip Erdogan in Turkey, another country that may use the murder as leverage over the Saudis, and European leaders to try to defuse the crisis. He dispatched one of his own advisers to Turkey. The king’s full brother, Prince Ahmed, who stirred controversy in September with remarks in London about potential discord in the royal family, returned to Saudi Arabia on Tuesday from the U.K. The buzz in Riyadh is that he may take one of the crown prince’s portfolios or be appointed in a senior position to try to curtail his influence. 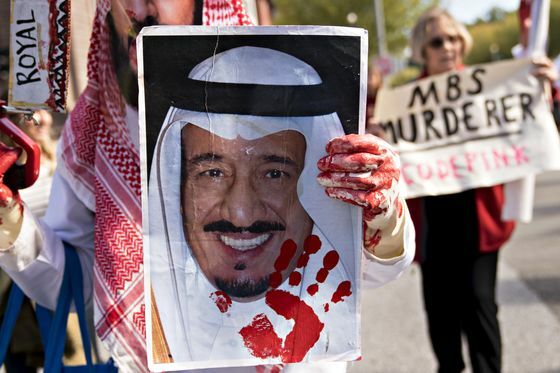 A common reaction in Riyadh is how “stupid” it was to kill a mild critic and how amateurish the whole operation was with Saudi agents flying in on planes with Saudi markings and official passports. All the efforts Saudi Arabia made to clean up its image after the Sept. 11, 2001, attacks in the U.S. -- 15 of the 19 hijackers were Saudi -- have gone down the drain, said one Saudi. “This has reinforced every single negative stereotype the world has about Saudi Arabia,” the person said. For the U.S., the ally that has traditionally mattered the most for the kingdom, the scandal has turned it into an ally Washington should be wary of, according to Susan Rice, who was the national security adviser during President Barack Obama’s second term.